Cheers! Makes me want to quickly knock out some more terrain stuff. 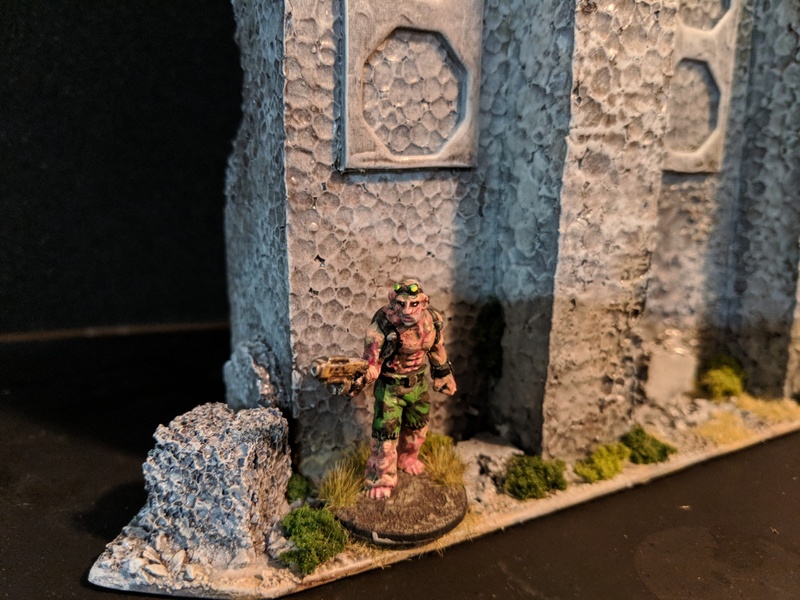 Nice work – I too find swapping to doing some terrain is a great refresher. So much more relaxing to get out the big brush and not focus too much fine details! 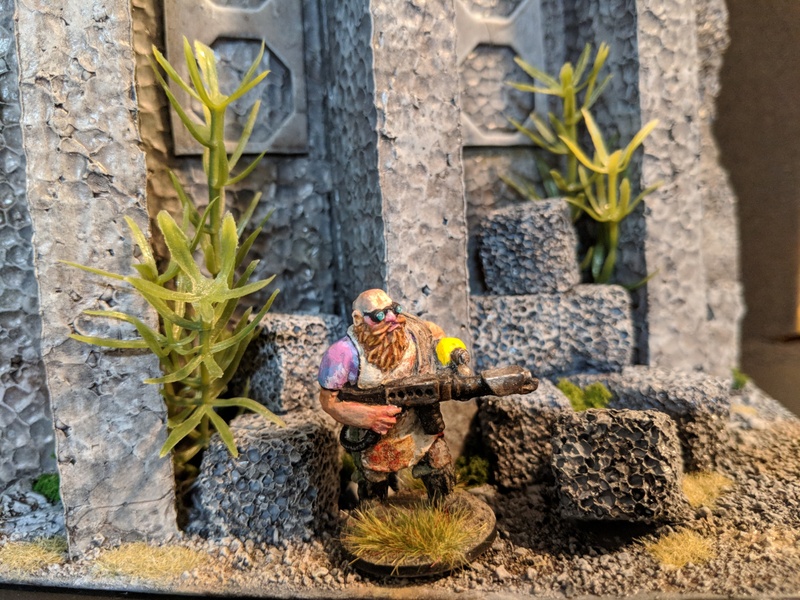 Ironically, I tend to find terrain is often more frequently used that most of my armies so there is much better payoff to investing the time on it. I agree — very cathartic using the big brushes. These items will get plenty of use! Excellent work. I think you definitely made the right choice with rusty on the Armorcast stuff. The aesthic definitely leans toward well-used. I’m intrigued by the melting effect on the styofoam. It makes it look alot like concrete where the top layer is flaking off. You see alot of that here in Chicago. Would also be a great representation of flaking paint if you wanted to paint it that way. Very clever.